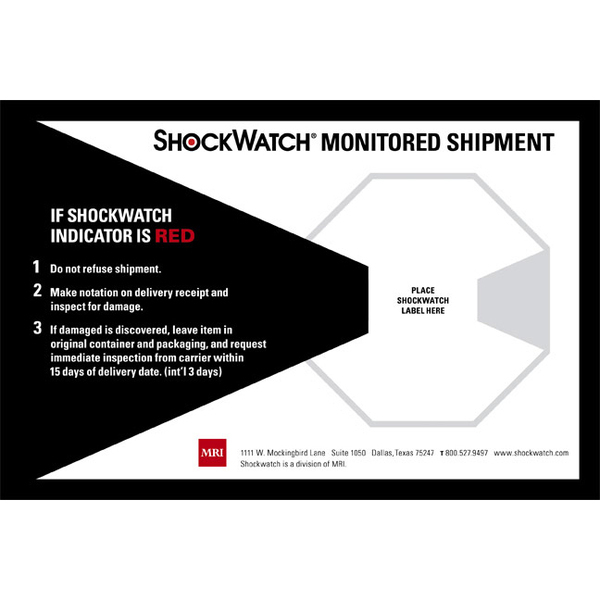 ShockWatch® 2 impact indicators are tamperproof single use, go/no-go devices that determine if fragile products have been dropped during transit or in storage. The indicators are not armed until activated by the user. 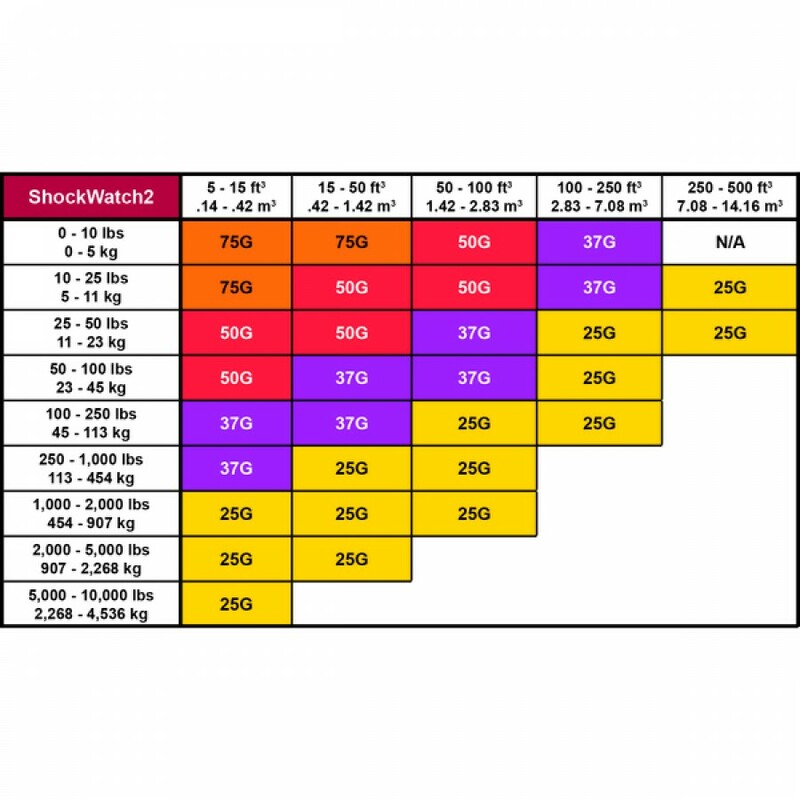 Turn bright red when an impact beyond a specific G-force threshold has occurred. 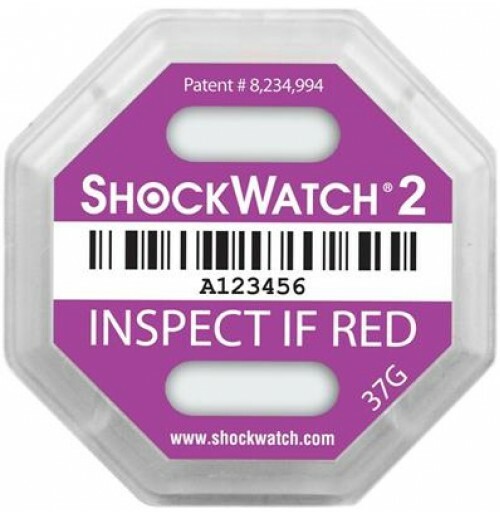 Each ShockWatch® 2 has a unique identifier to support traceability. The warning label fits over the ShockWatch® and shows what to do if the impact detection device has been activated. 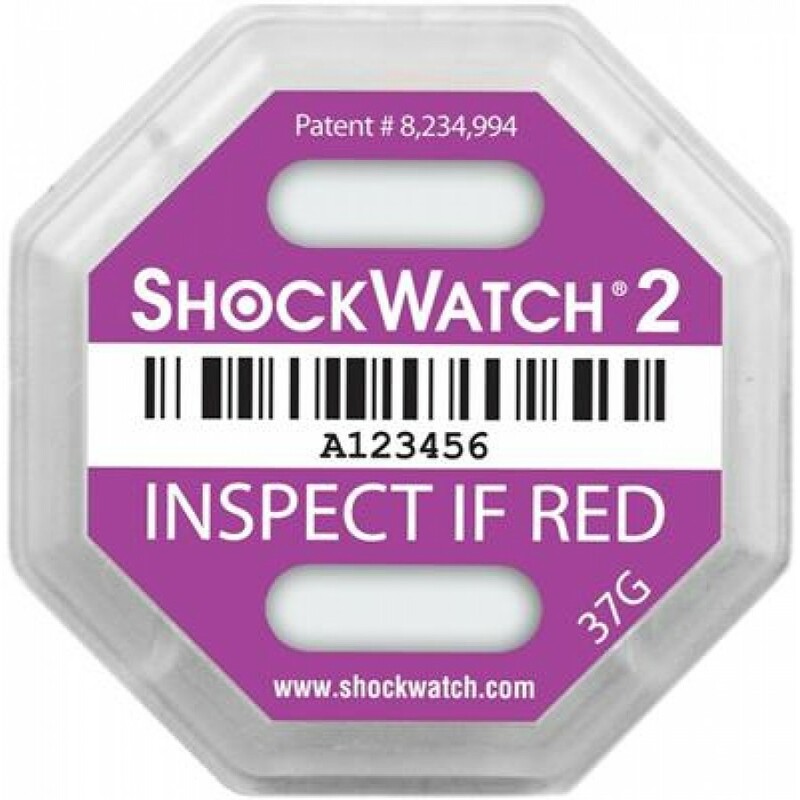 Warning label dimensions: 114.3mm x 146.05mm / 4.5" x 5.75"